...the most central backpackers in town! 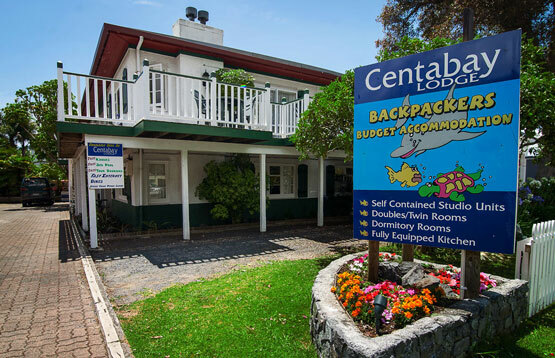 Centabay Lodge is a friendly budget backpackers accommodation located in the centre of Paihia, Bay of Islands, Northland. We have self-contained studio units, private rooms and dormitory rooms. Our studio rooms can accommodate up to four people. The units come with a LCD TV, bathroom facilities and kitchenette. We have private rooms with or without En-suite facilities to suite everyone’s budget. Centabay Lodge has several Dormitory rooms, with communal bathrooms, kitchens and dining areas, as well as cosy lounge areas with TV, DVD and stereo. Guests can also enjoy relaxing in our gardens and balconies. Customer Laundry, Fax, Phone and Free Unlimited Wifi is also available. We offer Discounted Tour bookings and information of the local area. We offer discounts for these cardholders!